On the show floor of the CES 2014, the Xperia Z1 Compact from Sony stood out. It’s a bit surprising considering it’s a smaller phone that showed up right in the middle of the wave of huge handsets. 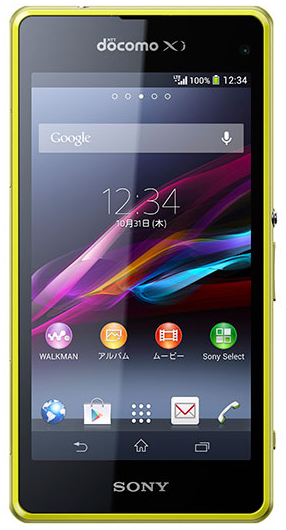 But the Xperia Z1 Compact has the power of a bigger phone – the Xperia Z1 – crammed into its more pocket-friendly frame. And don’t let the trend of bigger devices fool you – some of our favorite phone still measure in under that 5-inch benchmark that seems to be a standard. The Xperia Z1 Compact looked good under the lights of CES. Does it look as good when compared to phones in it’s same weight class? We compare the newest Sony handset to the iPhone 5S and Moto X to find out. When it comes down to specs, you’re hoping to be able to compare devices side-by-side and take a look at their similarities. But that becomes a little more difficult with a couple of these devices. The Sony Xperia Z1 Compact uses the Snapdragon 800, the latest and greatest from Qualcomm, the darling of the mobile processing world. As far as the traditional approach to the mobile processor goes, the Xperia Z1 Compact is at the top of the curve. The chipsets of the iPhone 5S and Moto X branch off in their own directions, which makes a direct comparison a little more challenging. 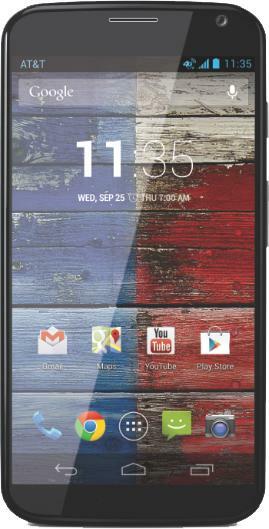 The Moto X features its X8, an octo-core chipset with a Snapdragon processor at its heart and other processing units dedicated to specific tasks. In all our use and in benchmarking tests, the X8 seems to handle its duties efficiently and performance is solid. Apple introduced the latest of its chipset with the iPhone 5S, and the A7 made the phone the first to feature 64-bit architecture. As almost always seems to be the case with Apple products, the iPhone 5S runs smoothly and scores well in its performance marks. It has an upper hand by being the first to what will likely be the future of phone processors with its 64-bit architecture. Obviously one of the most glaring differences for these devices occurs when looking at the camera. The front-facing lenses aren’t all that different, with the Xperia Z1 Compact and Moto X both sporting a 2-megapixel lens and the iPhone 5S not too far behind with its 1.2-megapixel lens. But then we flip the phones over and Sony blows its competitors away. A 20.7-megapixel rear-facing camera more than doubles the Moto X (10MP) and the iPhone 5S (8MP) and makes for a killer feature for photography buffs. Nokia phones are usually the go-to when it comes to the camera, but Sony is making a push of its own in the category. The Xperia Z1 Compact is ready to be Sony’s go to device. A more traditionally sized phone in comparison to some of the monstrous devices out there daring you to try to fit it in your pocket, the Xperia Z1 Compact is equipped to be compared with some of the most powerful phones out there and has its own claim to fame with its 20.7MP camera. It might not be future-ready like the iPhone 5S and it’s 64-bit architecture or trendy and customizable like the Moto X, but it’s a flagship phone with it’s own thing going for it, and that’s something Sony needs.